Throughout the past few decades, the standard answer to the problem of low productivity in small private forests has been education. It has been assumed that the chief obstacle to "good" forestry has been lack of knowledge. But the stubborn persistence of the problem raises some doubts as to the efficacy of the remedy. In this book, first published in 1961, the author takes a sharper look at this problem. He tries to find out what has worked reasonably well, and what has not, and makes some suggestions as to what seems to offer the best prospects for the future. 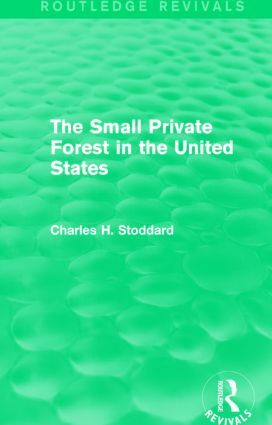 The Small Private Forest in the United States will be of interest to students of environmental studies, as well as to private landowners.